The DUP is on the verge of ending its deal to support Theresa May’s government, it was reported last night. The Northern Ireland party’s ten MPs have a confidence and supply deal with the government to give Mrs May a narrow majority in the Commons. 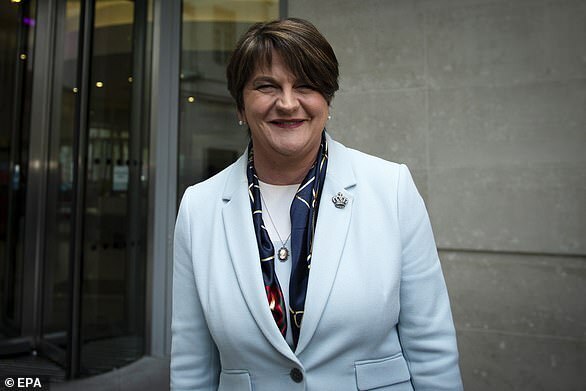 But they may renege on the deal to vote against her Brexit deal over fears it will discriminate Northern Ireland from the rest of the UK and create a trade border in the Irish Sea. DUP sources last night said they were considering the move, reported The Times. It comes after Mrs May vowed to cling on as PM – despite facing a catastrophic Commons defeat over her Brexit deal. 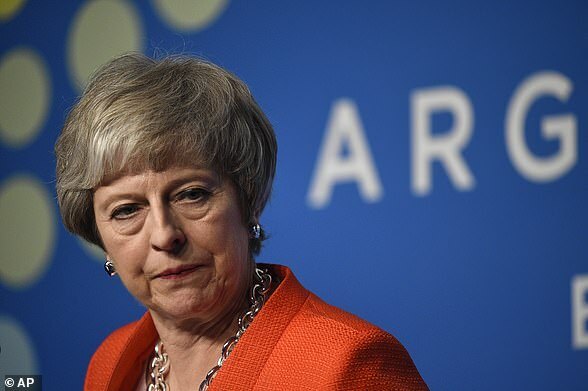 The Prime Minister insisted she will face down massive opposition from more than 100 Tory rebels, Labour, the SNP and the Lib Dems to the package she thrashed out with the EU. She said the next nine days will ‘determine the future’ of the UK. But she was humiliatingly forced to deny that the G20 summit in Argentina could be her last foreign trip as PM – saying there is ‘a lot more for me still to do’. The scale of the challenge facing Mrs May was underlined over the weekend with the resignation of universities minister Sam Gyimah, who joined demands for a second referendum. One No10 aide is reported to have complained that the PM is acting like Hitler in his bunker at the end of the Second World War, insisting victory can still be secured.